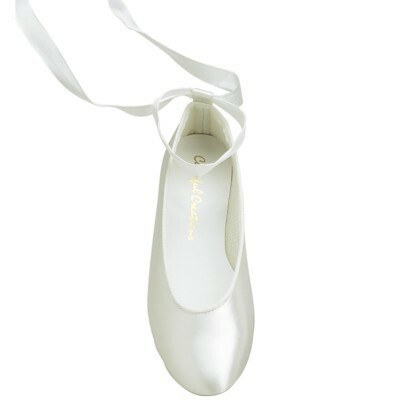 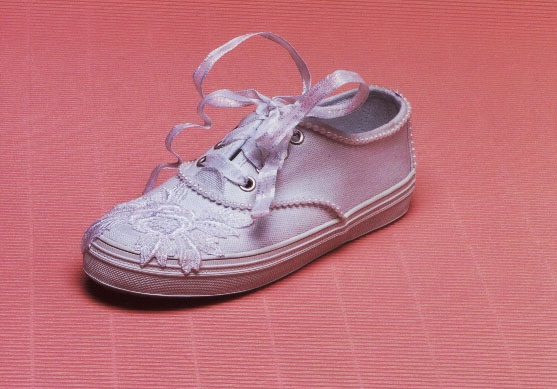 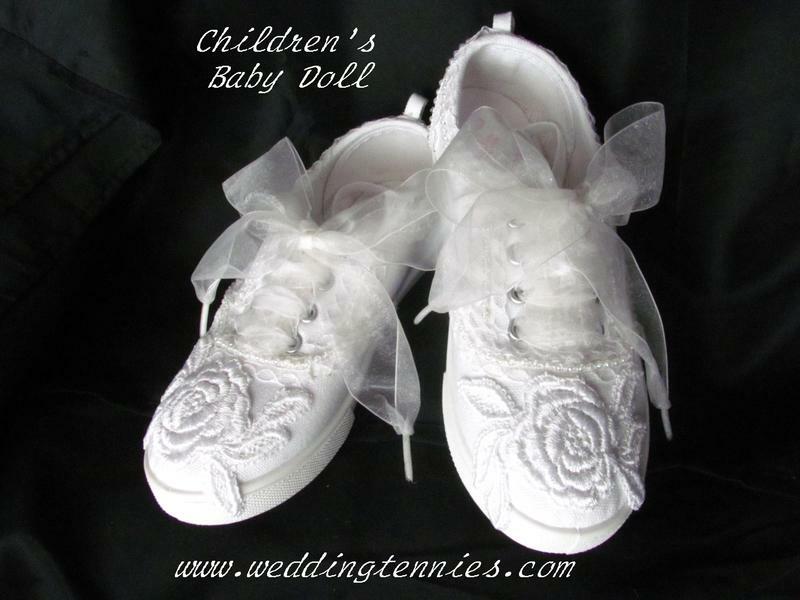 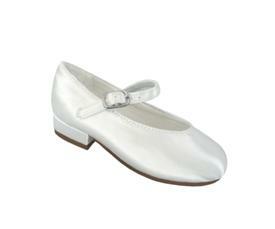 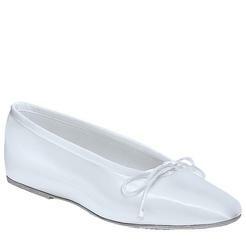 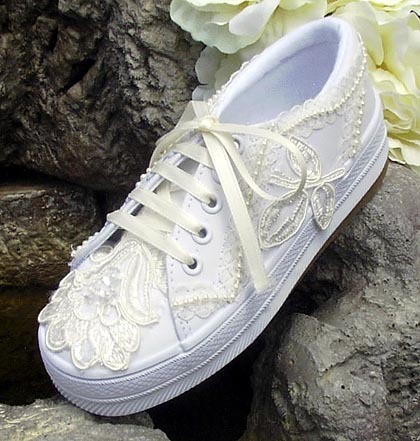 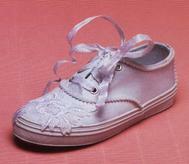 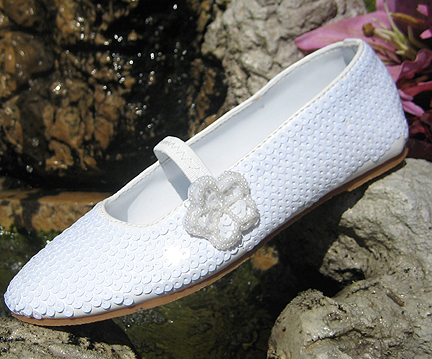 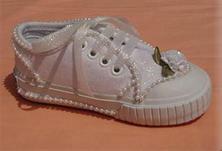 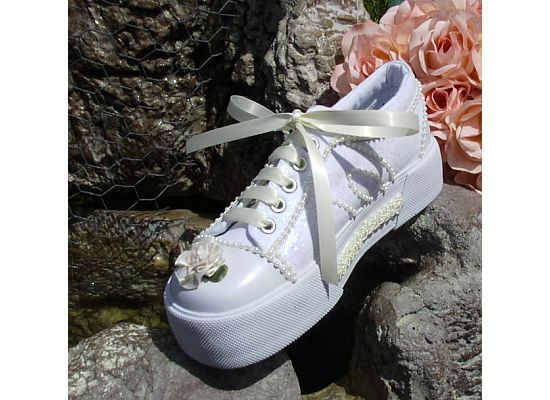 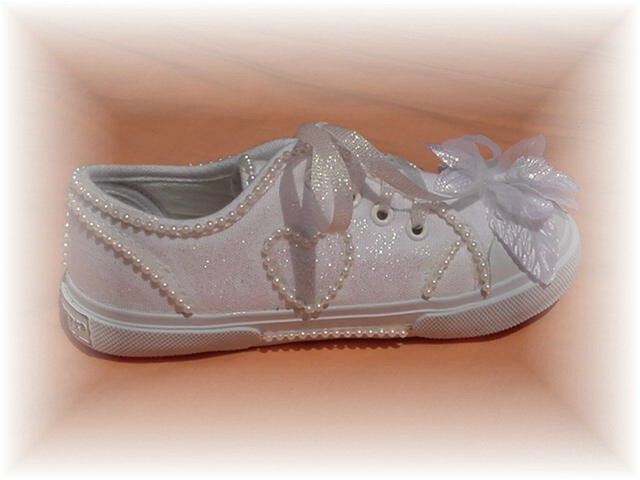 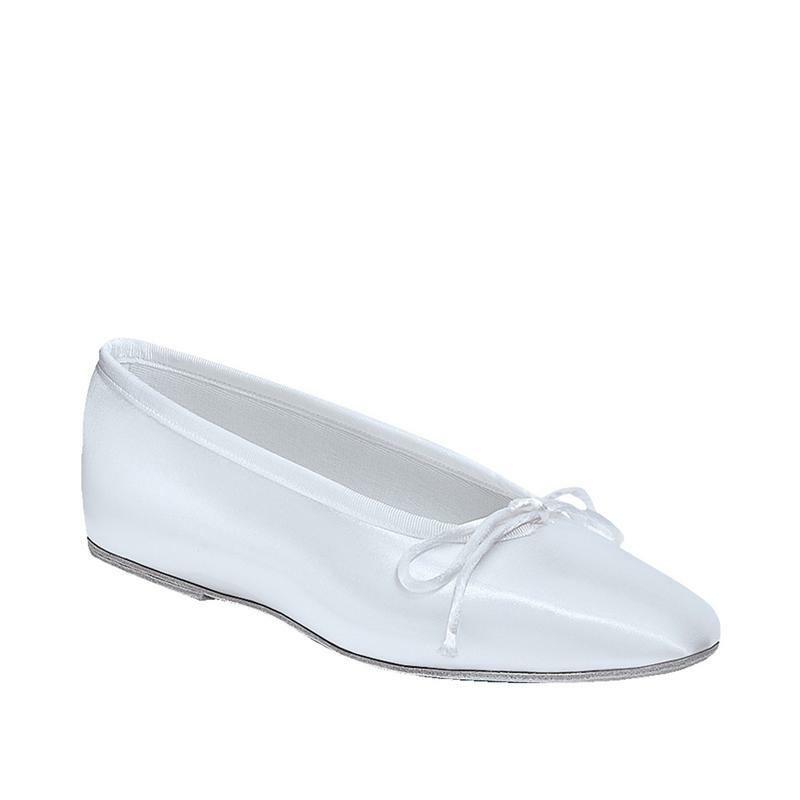 Child Deck Shoe with Pearl heart on outside and large opalescent flower on toe. 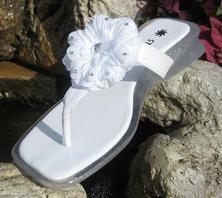  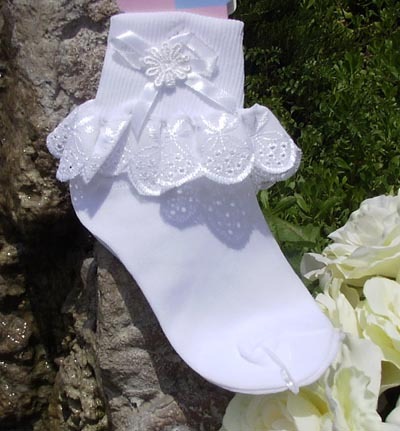 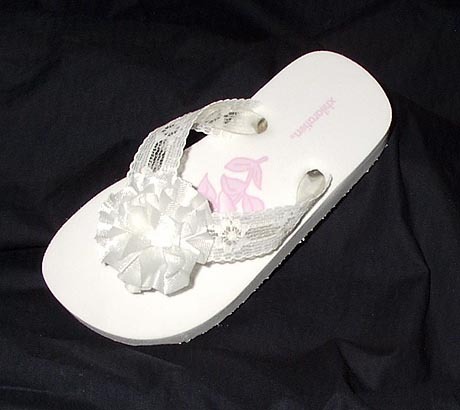 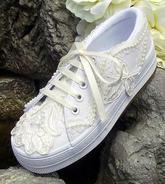 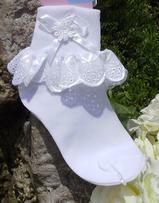 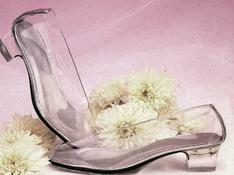 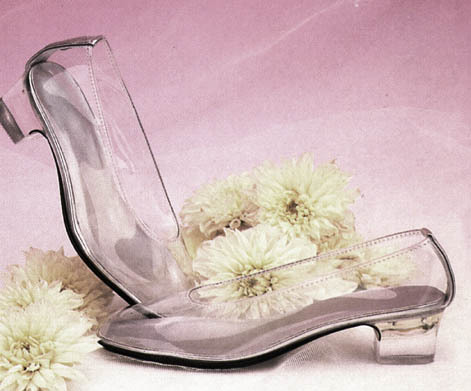 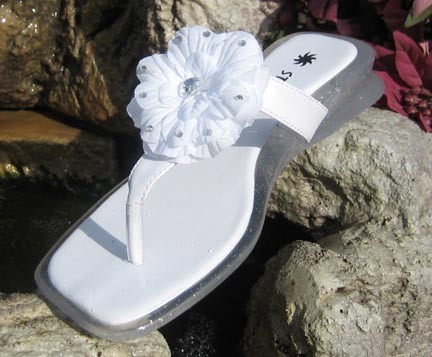 White flip flops with sparkly clear gel heel and clip on flower embellished with rhinestones. 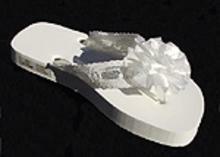 Off-white flip flops with beads and hard sole.